The F405-STD boasts many great features for multirotors and also works with INAV. Please note that it requires a 5V supply to operate. 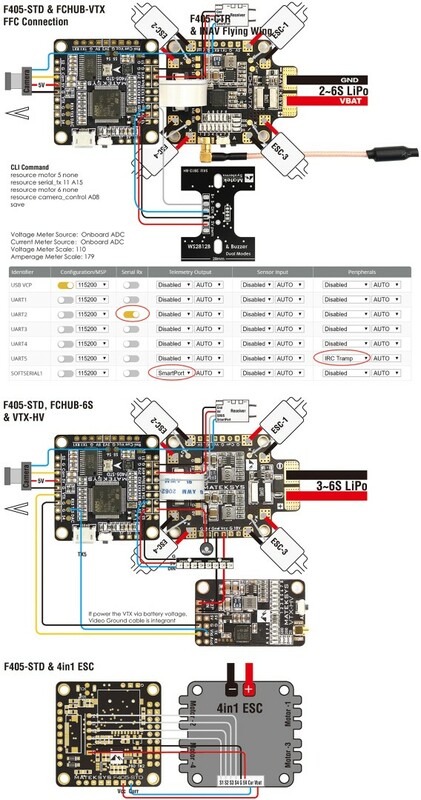 It can connect to the Matek FCHUB with a ribbon connector that passes power from the BEC, current sensor output, main power for voltage sensing as well as providing all the motor outputs back to the PDB (where the ESCs are connected). 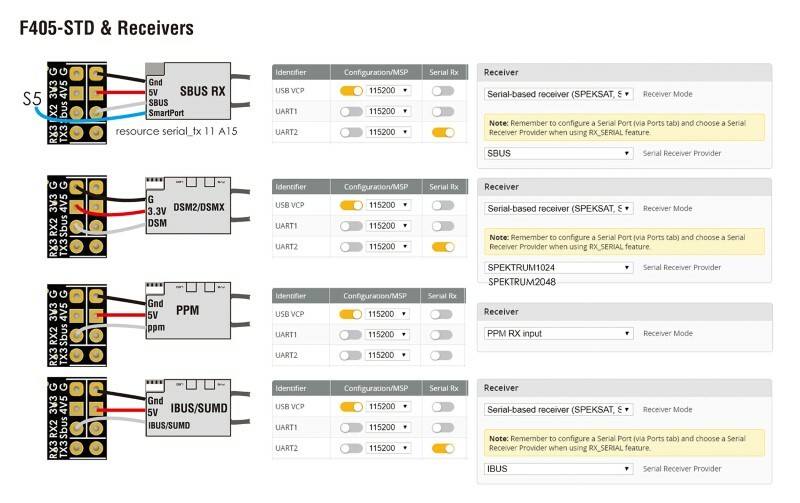 It can make a very clean setup when using individual ESCs. When using a 4-in1 ESC, you have the option of connecting on the bottom to a row of pads or on the top where there is one motor signal pad on each corner of the board.